I saw, did and ate so many things on this trip I thought I'd never do in my life. 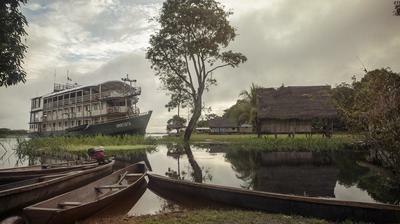 From Machu Picchu, to fishing for Piranha's, and swimming with pink dolphin's in the Amazon River. Not to mention eating Alpaca, so many different kinds of ceviche, and other amazing cuisine in Lima. 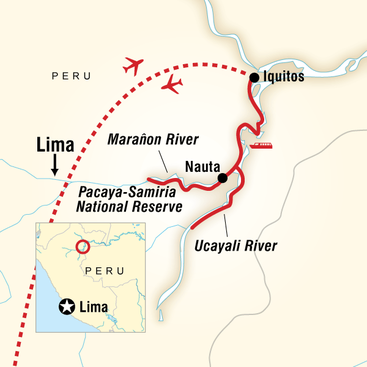 Hear about my incredible experience in Peru in part one and part two below. 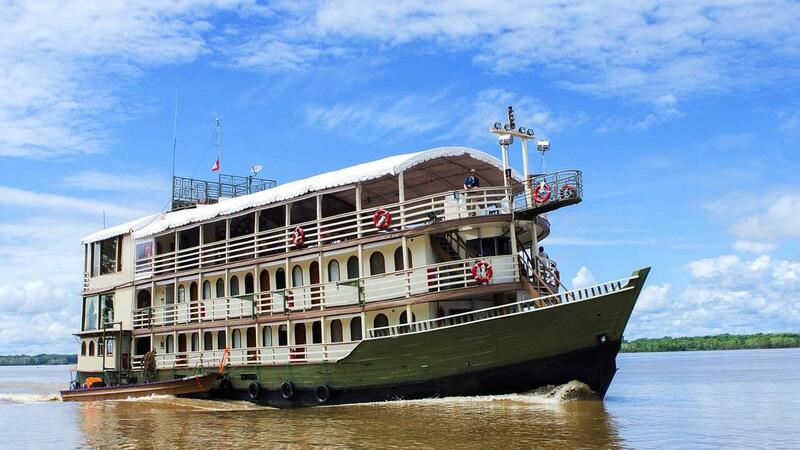 ​Hop aboard a riverboat and experience the Amazon in style. 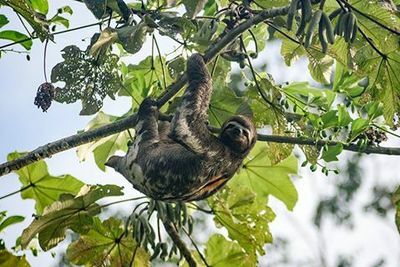 Led by an Amazon Reserve naturalist guide, your cruise will include daily excursions by motorized skiff designed to reveal the exotic wildlife that calls the rainforest home – with any luck you’ll spot sloths, toucans, or pink dolphins! 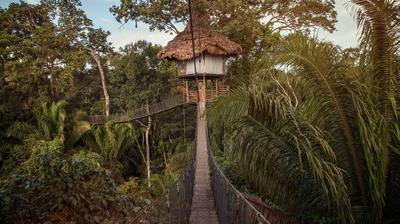 And, with two full days for exploration in Pacaya–Samiria National Reserve, you'll have the chance to experience the jungle up close. 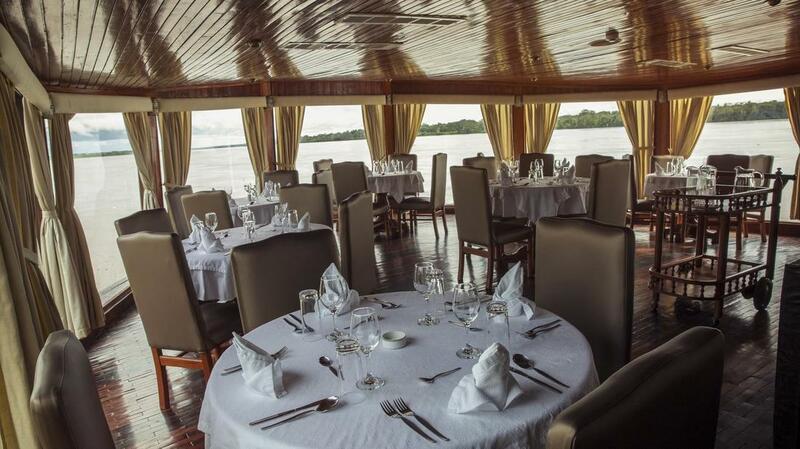 The cuisine on board is regional and provides a unique and delicious window into local culture. 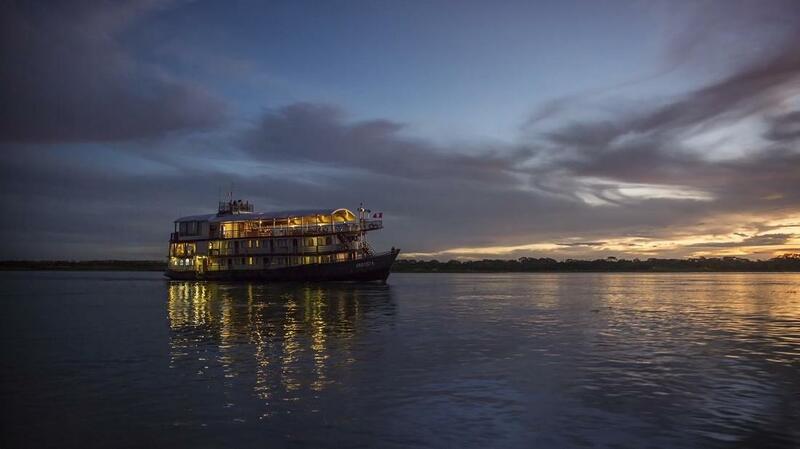 Gain a rare glimpse of how life "on the river" is lived and experience the magic of the Amazon on this once-in-a-lifetime riverboat adventure. Click here to view a presentation with more details about the Amazon River experience. contact Matt today to LEARN MORE! They say the journey is part of the experience of seeing Machu Picchu in person – but no one said that journey can’t be aboard a comfy train. This three-day tour connects you to this famous “Lost City of the Incas” and the Sacred Valley, with a little time to visit some of G's for Good projects. Arrive anytime. Transfer from airport to hotel is included. Accommodations at El Puma Hotel included. In the morning, transfer to the Sacred Valley and enjoy a guided tour. Stop at the G Adventures-supported women's weaving co-op. Break for lunch at the G Adventures-supported Parwa community restaurant in Huchuy Qosco. Wake up bright and early for a guided tour of the inspiring Machu Picchu ruins. Return to Cusco in the evening. ​Depart at any time. Transfer to the airport is included. 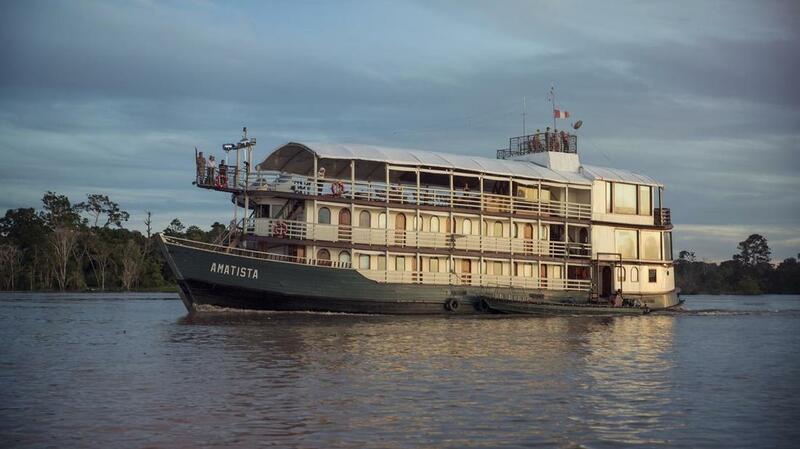 Catch an early flight to Iquitos and transfer to the Amazon Riverboat. The river exploration begins with two boat excursions by motorized skiff, one during the day and one at night. Watch as the jungle comes alive with nocturnal species at nighttime. 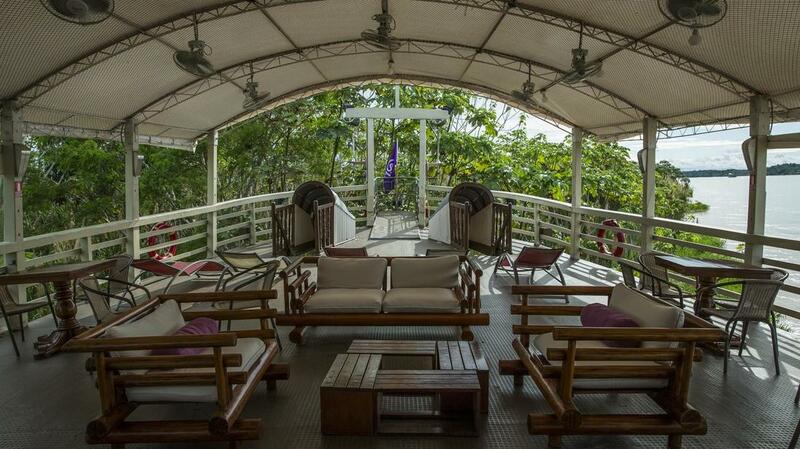 During free time, relax on board and soak in the natural beauty. Head out into Pacaya-Samiria Reserve on a boat excursion and search for monkeys, sloths and macaws. 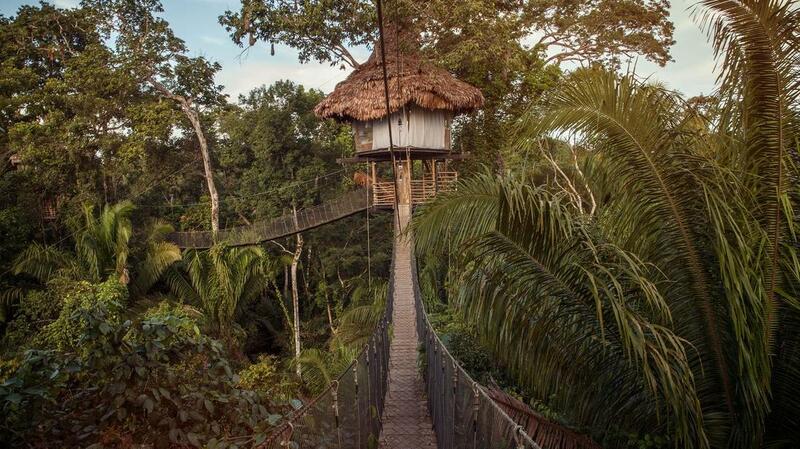 In the afternoon, take a walk through the jungle and visit a local community to learn about their traditions. After dinner, opt to go on a night excursion to Piranha Creek. 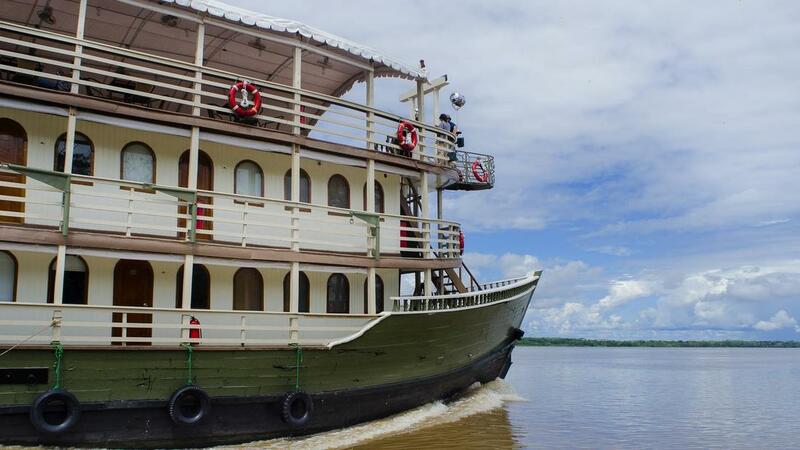 Begin to explore with a boat excursion on the Amazon River and some of its tributaries to see the wonders of the rainforest. 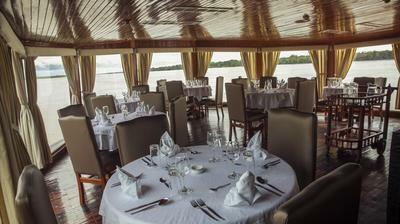 After lunch, enjoy a presentation on the Amazon River then walk along the shores of the Ucayali River. 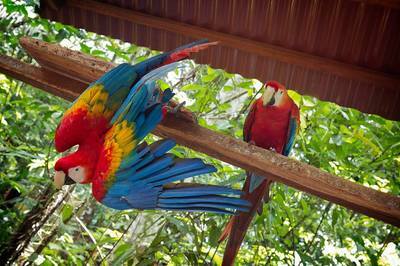 Take a morning skiff excursion into the Pacaya-Samiria National Reserve for more wildlife viewing. In the afternoon, visit a village to meet a local shaman and discover the mystical world of spiritual healing. Today get off the boat and meet a local Indigenous family, enjoy a home cooked meal and get a glimpse of their way of life. Once it gets dark, head out on an excursion to search for tree frogs, kinkajou and nocturnal birds and monkeys. Allow USD115-150 for meals not included. Drinks and tips on board not included. 2 Certified Amazon Reserve naturalist guides and support staff aboard the Amatista. G Representative in Lima. I created a guide to many of the places you'll visit in this itinerary. You can view it online, save it as PDF to your smart device, or even print it out. If you have time check out Cusco and the market there. Cicciolina is a great restaurant in Cusco. 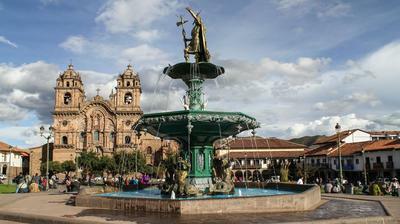 Cusco has an altitude of over 11,000 feet. Be sure to take your altitude sickness meds a couple days before you arrive and drink a lot of water or you may find climbing a flight of stairs very exhausting. 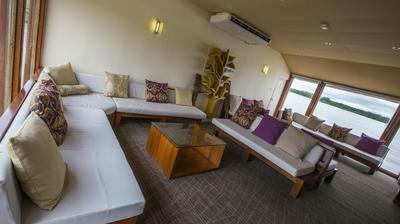 Some hotels offer a tank of oxygen which might help ease any symptoms you feel. Drink some pisco sour! Eat ceviche! Try their "special Peruvian tea." You can't get it in the States and do not try to bring any home! You should also try the guinea pig. I did. They also had a lot of trout which was delicious! There are lots of huge corn kernels as a snack. Emergency FundPlease also make sure you have access to at least an additional USD $200 (or equivalent) as an 'emergency' fund, to be used when circumstances outside our control (ex. a natural disaster) require a change to our planned route. This is a rare occurrence! It is customary in Latin America to tip service providers such as waiters, at approximately 10%, depending on the service. Tipping is an expected - though not compulsory - component of your tour program and an expression of satisfaction with the persons who have assisted you on your tour. Although it may not be customary to you, it is of considerable significance to the people who will take care of you during your travels. There are several times during the trip where there is opportunity to tip the local guides or drivers we use. Recommendations for tipping drivers and local guides would range from $5-10 USD per day depending on the quality and length of the service; ask your CEO for specific recommendations based on the circumstances and culture. contact Matt today to join the adventure!